Ta Ann, industrial logger of Tasmania’s native old growth forests, has been exposed misrepresenting its timber products as environmentally sustainable. 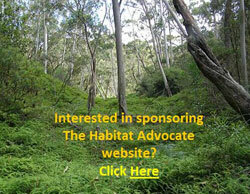 It reflects the underhand falsehoods behind the logging propaganda of Tasmanian Sustainable Forest Management. Forestry Tasmania, which trashes and flogs old growth timber to Ta Ann, spends lots of money concocting glossy brochures claiming forestry (euphemism for ‘logging’) engages in ecologically sustainable forest management. But it is all simply logger language belying old growth clearfell! And the clearfell continues still, this year, this month! The following video near ‘The ObserverTree‘ shows industrial logging underway in the magnificent Styx Valley on 16th December 2011. Recently Jenny Weber from the Huon Valley Environment Centre went to Japan with former Greens leader Peg Putt to meet with the Japanese companies purchasing from Ta Ann. The company representatives showed concern about the environmental destruction taking place to produce the products they are purchasing. This week, a major British importer of plywood, International Plywood, which is helping to build facilities for the London 2012 Olympics, has publicly stated that it will not be purchasing any more timber from Ta Ann, due to Ta Ann being exposed for sustainable timber misrepresentation and using vital Tasmanian old growth in its plywood veneer timber flooring. Ta Ann has been falsely selling its plywood veneer timber products claiming that the timber is certified as sustainable under the international PEFC scheme and is sourced from plantations and sustainable regrowth forests. Doesn’t say much for the ‘PEFC’ scheme! 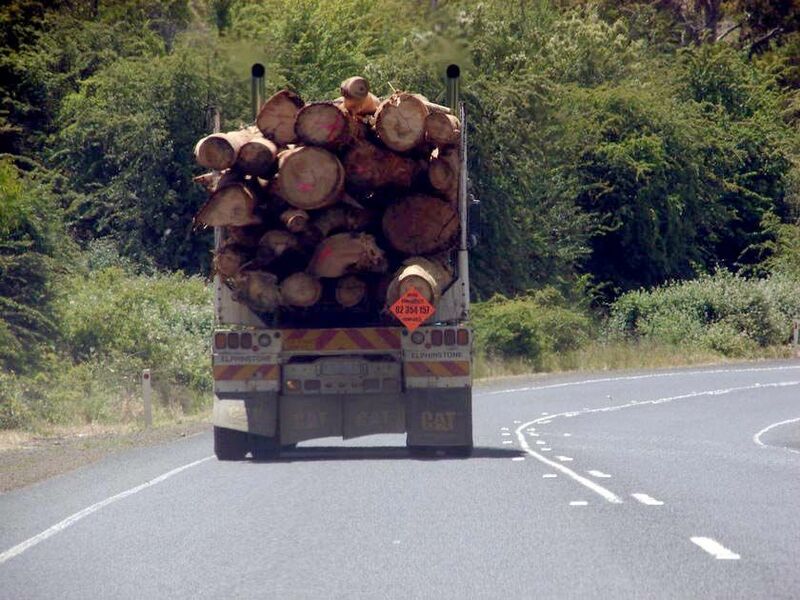 The Programme for Endorsement of Forest Certification (PEFC) has been widely criticised by international environment groups as it is not an indicator of acceptable environmental standards and does not safeguard high conservation value from ongoing logging. No wonder Ta Ann relies on it. Forest Stewardship Council is the superior forest certification. Environmental campaigners from Markets for Change and the Huon Valley Environment Centre travelled to England recently to meet with UK companies implicated in forest destruction. 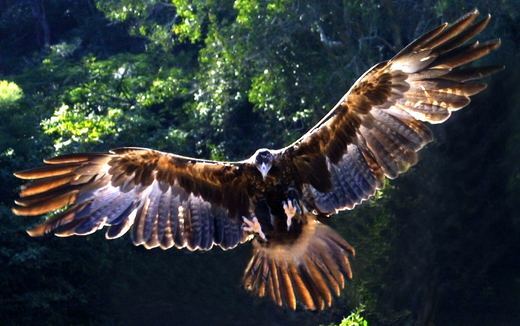 They launch a detailed report that traced Ta Ann veneer timber from Tasmania’s high conservation value forests through Malaysia to a London sports hall which will be used in training by Team USA during the 2012 London Olympics. Tim Birch from Markets for Change was among the delegation – “We went to London to visit a number of companies to inform them of exactly what was happening“. Ian Attwood, managing director of International Plywood, says his company is now boycotting Ta Ann’s products. Even a recent letter from the Deputy Premier of Tasmania, Brian Green to International Plywood UK urging them to continue buying from Ta Ann Tasmania did not persuade the company to continue purchasing veneer plywood from Ta Ann Tasmania. (Ed: buy old growth for veneer otherwise it’ll end up as woodchips anyway – we’ve gotta find some use for it). One key reason why International Plywood is rejecting Ta Ann’s old growth plywood is that as building materials supplier to the London 2012 Olympics, International Plywood is obligated to prove its supplies are environmentally sustainable to the Olympic Delivery Authority (ODA). The Olympic Delivery Authority’s Sustainable Development Strategy has the strict objective to identify, source, and use environmentally and socially responsible materials. ‘Key to delivery of a sustainable development is its design, and the methods used in its construction. Also pivotal is what materials are used to construct the facilities. 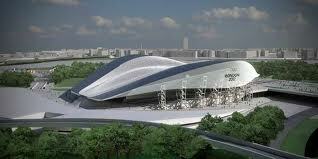 The materials used in the construction of the Olympic Park and venues are a key aspect of the ODA’s commitment to delivering a sustainable development. The ODA is working closely with industry bodies to allow suppliers to respond positively to the ODA’s requirements. Through this engagement, the ODA hopes to leave a lasting legacy of a more socially and environmentally responsible approach to materials use within development. Four principles apply when sourcing materials. To date, all timber used in the construction of the Olympic Park meets this commitment. The ODA received the ‘Achievement in Sustainability Award’ at the 2009 Timber Trade Journal Awards for the set up and management of the Timber Supplier Panel. ‘Wood from forests which provide homes to some of the planet’s most endangered species is being used to construct athletes’ training facilities for next year’s London Olympics, it has been alleged. 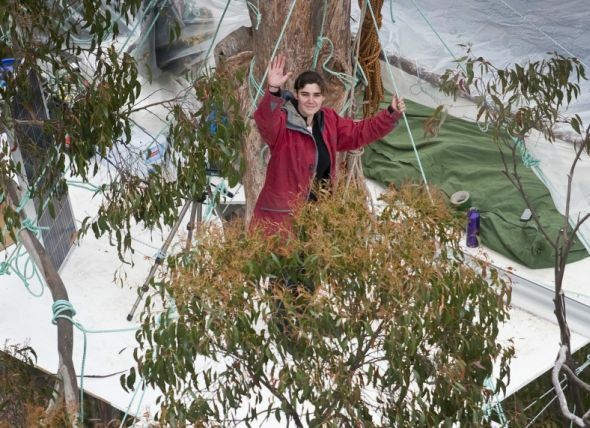 Eucalyptus trees, from forests which date back more than 1,000 years, are being logged, despite the UN World Heritage Committee’s repeated calls for that region of Tasmania to be protected. 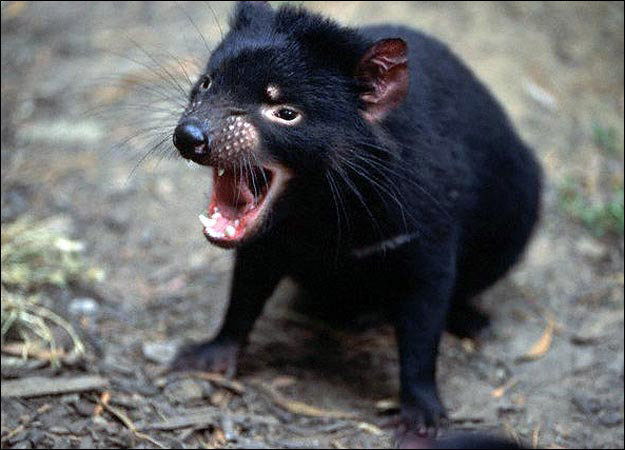 The forests provide habitats to Tasmanian Devils, the Tasmanian Giant Freshwater Lobster and the Swift Parrot, all of which are listed as endangered species and scientists believe that the wooded area captures and stores the most carbon of any on earth per square mile. Now though, an Australian environmental group has claimed that products made from trees felled there are being used to make a basketball court for Team USA to train on during the Games. Although the building is not being run by the London 2012 organisers Locog, in 2018 they pledged to only use sustainable timber in the construction of the Games’ venues and infrastructure, as part of a drive to make them a “truly green Games“. And, while Athens was criticised for making “no requirements for any form of sustainable wood products” in 2004, the organisers of Beijing 2008 banned wood “obtained directly from virgin forest” and, in the run-up to the 2000 Sydney Olympics, organisers pledged to only use wood which was certified by the Forest Stewardship Council. Wood in the London SportDock facility, construction of which is being lead by the University of East London (UEL), conforms to the rival Programme for the Endorsement of Forest Certification (PEFC) standard, which environmental groups attack for not going far enough to promote ethical logging. The facility will be rented by Team USA for the duration of the Games. He added that it was “essential” that companies review their procurement policies to ensure that they “end the UK’s part in wrecking some of the world’s last remaining old growth forests”. 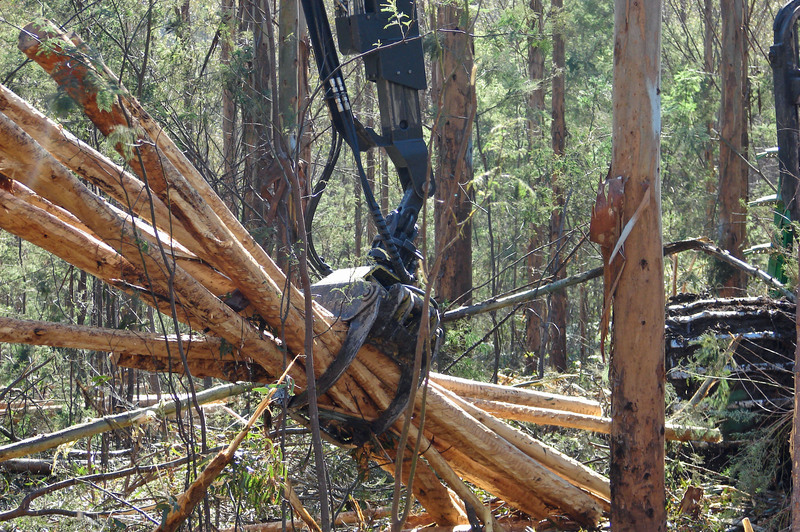 Campaigners point to Tasmanian Government documents, which show that the Malaysian manufacturer Ta Ann received timber from logging operations undertaken within old growth areas of the forest. “Whether or not Ta Ann eventually use the old growth trees which are cut down is irrelevant, the habitats have been destroyed all the same,” said Will Mooney of the Huon Valley Environment Centre. But Ta Ann says that no old growth trees are used in their products, pointing out that machinery recently installed by the company is only capable of processing regrowth trees. A spokesman for Ta Ann Tasmania said that its products are produced “from regrowth timber billets harvested strictly in accordance with Australia’s forest policies and laws including the forest practices code”. “As a proud Londoner, I’m shocked that ancient forests crucial for conserving the world’s tallest flowering plants, the largest hardwood trees in the world, and many endangered animals are being used for flooring in London’s Olympics. “British companies like International Plywood could end the destruction by ensuring they no longer do business” with companies who handle even new growth Tasmanian timber. A spokesman said: “We are totally committed to making sure the £21million Sports Dock facility is an environmentally friendly development and that this new facility has the best mix of sustainable materials and features. According to Markets for Change, the wood products destined for the UEL site passed from the Malaysian logging company Ta Ann, entering Europe in the hands of International Plywood. It eventually ended up in the hands of Dynamik, which laid it as flooring. Anil Batra, Dynamik’s Financial and Marketing Director said he was “interested in the issue, now it has been brought to our attention” but pointed out that no laws had been broken and that the wood was certified by the international PEFC. growth” and said that the company can only use billets from regrowth”. He later said that the company had not carried out any production of veneer products bound for the UK and cast doubt on whether the wood used at UEL could be proven to be from his company. Markets for Change produced images it said showed Ta Ann-branded crates at the UEL site which they said also had licence numbers identifying them as containing Ta-Ann-manufactured products. A spokesman for International Plywood said the company did not have any current contracts with Ta Ann and would review its trading relationship with the firm, if it could be shown it was “acting in a way that would not comply with our purchasing policy standards“. However, the spokesman said it had no reason to believe that were the case and “if Ta Ann were able to supply PEFC certified plywood as they have done previously they would meet our current purchasing policy“. Mount Mueller Forest, Styx Valley South West Tasmania, Australia.